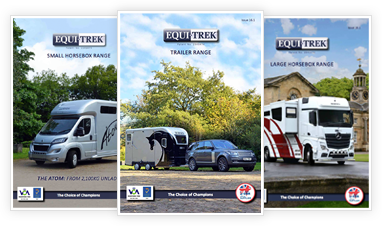 Equi-Trek Bury St Edmunds are now the exclusive Equi-Trek dealer for the East of England. Our aim is to provide a friendly and professional service whether on sales, service or spare parts and to provide solutions to all your equine transport requirements whether you are just purchasing your first pony or are a professional rider, producer or breeder. Please have a look at the trailers and motorised horse boxes on this site, however please be aware that stock is changing all the time and we welcome contact by phone or email at any time.